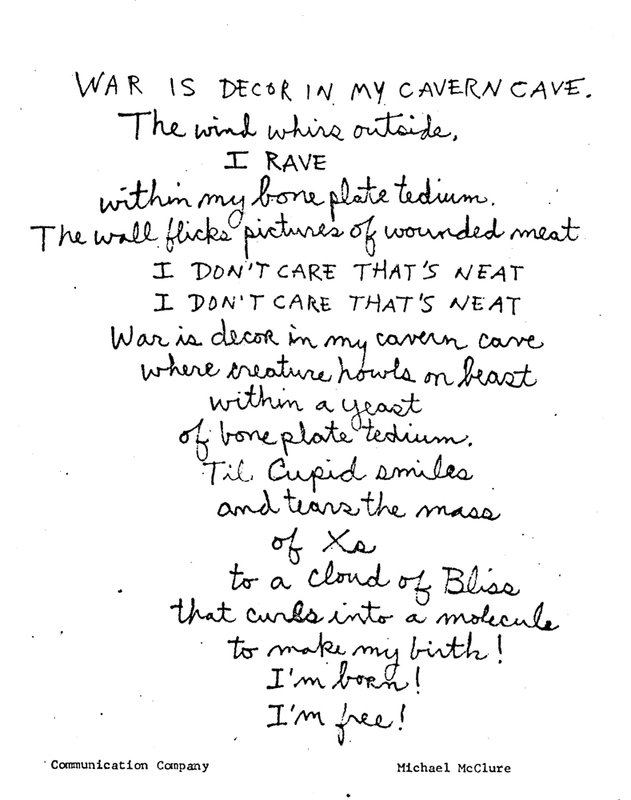 Title: War Is Decor In My Cavern Cave. Abstract: Poem, handlettered (19 lines). "The wind whirs outside. I RAVE within my bone plate tedium. 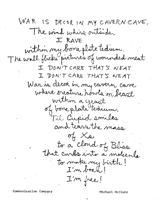 The wall flicks pictures of wounded meat"
Trans Title: WAR IS DECOR IN MY CAVERN CAVE.